Supernatural horror is a mixed bag in modern cinema, with many entries ignoring core atmospheric traits and instead settling for samey jump scares. However, that doesn't mean well made films of the genre are absent in today's world - one such example is 2013's The Conjuring, arguably one of the best horror films in recent times. Following it's success, a series has kicked off, including a sequel last year and spinoff titled Annabelle in 2014 - and now arrives the prequel to the aforementioned Annabelle (a prequel to the prequel...), a film which was less than spectacular in the eyes of most critics - something that certainly isn't the case with this latest entry. The Annabelle doll is often seen as one of The Conjuring's freakiest attributes, and now we're off to explore even more of it's backstory - beginning with the death of one Annabelle Mullins (Samara Lee) and the trauma it has on her parents Samuel (Anthony Paglia) and Esther Mullins (Miranda Otto). 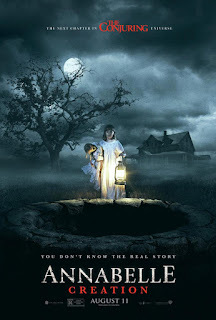 Soon enough their residence becomes a home for numerous orphans including disabled girl Janice (Talitha Bateman) whose curiosity quickly gets the better of her, leading to a number of unusual events which all soon add up to unveil the truth behind the Mullins' past and the mysterious essence now dwelling in their home. Annabelle is arguably a mixed film in hindsight, craving rapid jump scares over genuine atmosphere, and thankfully Creation acknowledges this to provide much better results. It's largely well structured and establishes fear factor through tense atmosphere, many of which conclude with some thrilling jump scares that never usually feel too cheap or repetitive - this is all brought to life by a visibly passionate cast, especially the youngsters that make up most of it. The lineup of actresses portraying the numerous orphan protagonists perform wonderfully, especially lead Talitha Bateman as Janice and Lulu Wilson as Linda, Janice's closest friend. Both of them alongside the numerous supporting roles are not only relatable in how they convey their roles but also extremely talented when it comes to acting out the numerous horror sequences - the fear they convey never feels forced or cheesy, and blends superbly with the chilling atmosphere the film creates. However, whilst their performances are largely spot on, it's hard to deny that most characters in the film lack much of the development they really need. Janice's disability feels forced in a lot of the time to make certain horror chase scenes more intense and little else - no overall narrative impact, which is a disappointment considering it had some interesting potential. The supporting actresses also lack much depth despite some strong performances, to a point where even remembering the characters' names is difficult. Said lack of depth also, in all honesty, applies to the overall plot - whilst it's still generally entertaining, it isn't without the handful of clichés and generic pieces of backstory that are often unveiled during abrupt conversations instead of over time in a clever, more believable structure. 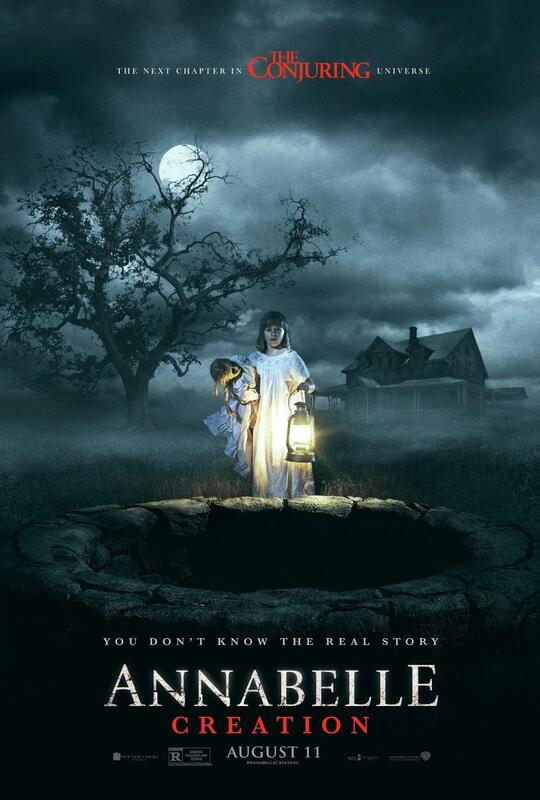 This doesn't rank Annabelle: Creation as a bad film by any means - just as a good one with some key flaws. Narrative hiccups aside, it's largely perfect in the way it conveys a scary essence and handles some exciting jump scares, making it a thrilling watch for that alone.